Asbestos. The word strikes fear in the hearts of building owners and inhabitants alike. Marketed as “Canada’s White Gold” in the past, this known carcinogen has become the subject of much confusion and debate in the public sector. Even though it’s been recognized as a toxic material since the 1930s, it’s curious how we still must worry about asbestos exposure in the buildings we live and work in today. With the 14th Annual Global Asbestos Awareness Week (hosted by the Asbestos Disease Awareness Organization) underway, we thought we’d help shed some light on why asbestos is so prevalent and dangerous, what public offices are doing to deal with the asbestos-related issues, and how building owners can protect themselves. The use of asbestos can be traced as far back as 3000+ years ago when inhabitants of what is now the Scandinavian region strengthened their pots and other cooking utensils with asbestos fibre. It became more prevalent during the Ancient Greek and Roman periods as they discovered its fire-resistant properties. Asbestos was incorporated in all types of fabrics including royal wear, headdresses, towels, tablecloths, and napkins. It was also used to insulate buildings and ovens, and even as wicks for temple lanterns. In the medieval period, asbestos was used to insulate armor. The rich and the noble also collected Ancient Greek and Roman artifacts, which included their famous non-flammable cloths. Charlemagne was said to have owned an asbestos tablecloth that he used to impress guests by setting it on fire and removing the cloth undamaged. The industrial revolution realized the development of countless asbestos products. With powered machinery and steam power gaining popularity, a means to control the immense heat required to create power was needed. Asbestos was the perfect material to insulate steam pipes, turbines, ovens, and kilns. The demand for asbestos was so great that asbestos mines all over the world started opening. In Canada, the first commercial asbestos mine opened in the 1870s, soon followed by Russia, Australia, and South Africa. As technology moved from steam power to diesel, asbestos’ insulating abilities continued to be in high demand. By the 1930s, people had adapted its uses to the shipping, automobile, and construction industry. It was used for brake and clutch lining in cars. In ships, they used it for insulation to parts exposed to high heat. In residential, office and industrial buildings, it was used for fireproof drywall, flooring, roofing, gaskets, pipe insulation, fire retardant coating, bricks, and cement. It was also incorporated into building materials as it increased the pliability of mastics and mudding compounds, and served as an effective acoustic dampener. The trend continued until well into the 1980s, when medical journals started publishing articles on the harmful effects of asbestos. The medical community had been reporting on the dangers of asbestos for years (even in Ancient Roman times, Pliny the Elder, a naturalist and philosopher, had cautioned people against using slaves who had worked with asbestos because they had poor constitutions). However, they were disregarded due to the popularity of the material. It was only due to the increasing reports of diseases related to asbestos exposure that public attention was drawn. In response to the growing statistics of occupational related illnesses and death linked to asbestos exposure, the government established strict processes to control and manage all aspects of removal. Unfortunately, with the millions of buildings and homes that were constructed using asbestos containing materials in the years prior, the lasting impacts of its extensive use was difficult to remediate. Asbestos, in its simplest form, is naturally occurring group of minerals which can split into microscopic fibres. Should the fibres become airborne, they can easily be inhaled and, due to their shape, imbedded to the tissues of the lungs and other parts of the respiratory system. Asbestosis: A disease that causes scarring of the lungs, making it difficult for the person to breath. This can be a precursor to Mesothelioma. Mesothelioma: A rare form of cancer that causes scarring in the chest and/or abdominal cavity. Studies show that asbestos exposure is the only medically verifiable cause of this. Lung Cancer: While this is most commonly associated to smoking, this can be made worse by asbestos exposure. Based on World Health Organization (WHO) statistics, about 125 million people in the world are exposed to asbestos in the workplace. In Canada, CAREX estimates 152,000 exposed workers. The Ontario-based Occupational Cancer Research Centre reports that this wide-spread exposure causes almost 2,000 new cancers each year in the country. What is Being Done to Deal with the Issues? The WHO declared asbestos as a human carcinogen more than 30 years ago. Partial bans are in place involving the use, sale, and import of asbestos in all G7 countries, including Canada. In addition, asbestos removal and management is now highly regulated to protect workers and the public. Abatement of hazardous materials is often the first step taken before a demolition or renovation project can proceed. This requires strict adherence to building codes and safety legislation. 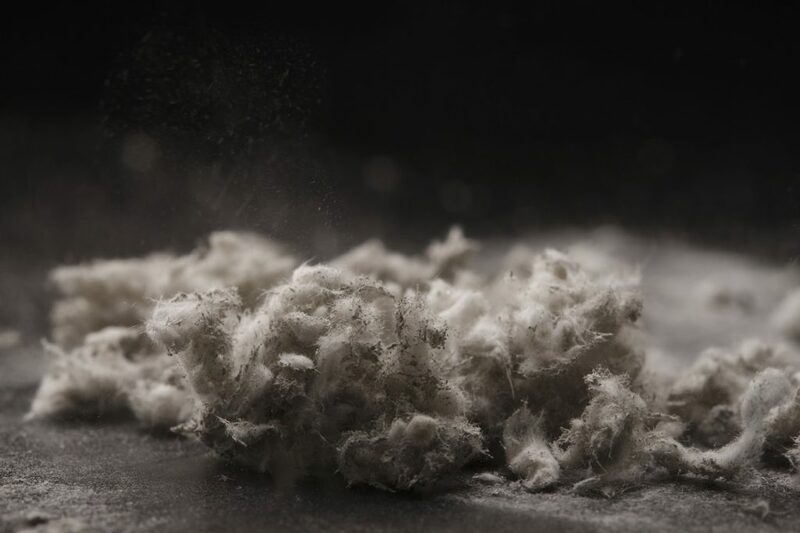 In Alberta, only certified workers can participate in asbestos abatement. What to Do if You Suspect Asbestos in Your Home or Workplace? The legacy of asbestos in buildings will remain with us for decades. The solution to managing the exposure hazard and the ultimate health risk is proper assessment and management of the material. During Global Asbestos Awareness Week, we are reminded that action is needed to keep our citizens safe and healthy. Awareness of the hazard is the first step in managing occupational illness and prevention is the best method to manage illnesses associated with asbestos exposure. If you require more information and need to get help, there are numerous government websites that offer advice (check out our sources links!). You could also contact us at 1.877.243.6838 or at info@ehsp.ca.